Efficiency – Air to water systems can reach peak coefficient of performance (COP) of up to 4 and seasonal averages above 3 in a mild climate. Versatility – They can be used to heat your building in winter (hydronic in floor or forced air), cool your building in summer, pre-heat your hot water, even heat your pool! 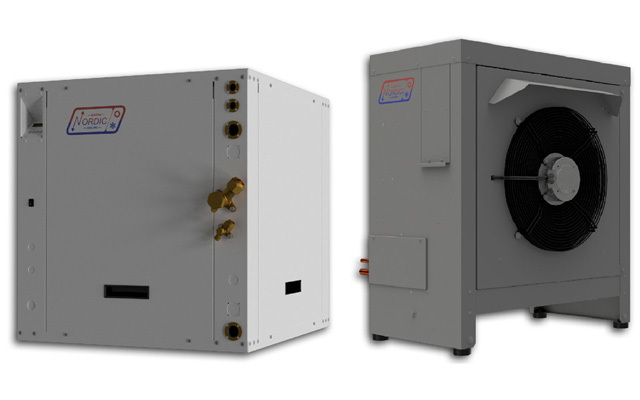 Comfort – Radiant hydronic heating and cooling is a very comfortable way to heat your building. Safety – No combustion flame. No flammable fuel such as oil or gas. No carbon monoxide (CO) leakage potential and no risk of backdrafting combustion product into your building. Environment – By eliminating fossil fuel combustion devices such as oil or gas furnaces, a major contributor to greenhouse gasses (CO), you can significantly lighten the load on the planet. And by producing up to 5 times as much heat per unit energy as a baseboard heater or electric furnace, the energy you buy and use goes a lot further. Operating Cost – In BC we enjoy some of the lowest electricity prices in the world which makes annual operating costs very low relative to combustion technologies. Fill out our contact form so we can better serve you!